I Peter 4:12 NLT Dear friends, don't be surprised at the fiery trials you are going through, as if something strange were happening to you. Our Bible Study teacher at Open Door Church opened the meeting by praying over the Students that the Holy Spirit would saturate each one with God’s Presence giving them grace to stand when trouble comes their way. Reckless living brings consequences. Each “Culture” has their own sin, but we choose to shun evil and live right. As a church here, do we affect those who accept and live in this sinful culture? We do not accept their sin, but we accept and love the person. Making wise choices can change your future. In the apostles day they were in a culture mirrored by today’s society. Paul admonished Christians to abstain from sexual sin, not to partake of meat offered to idols and not to drink blood. In today’s world we could add habits that lead to addiction. The Holy Spirit reminds us to avoid certain practices that are acceptable to the world. We are all guilty of sin, and none of us are righteous. We all need a Savior. When we receive Jesus, our friends may not understand our life change. We no longer partake in the “pleasures” of sin. 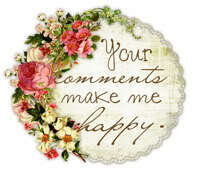 We may be criticized by them, and even shunned. What does it take to change a culture in a Nation, or a City? It begins in the home of believers. The family continues to serve God, and generations are changed. This goes way back to parents, and grandparents who carried blessings to their future children. Paul reminded us in Ephesians 5:25-27 Husbands, love your wives, just as Christ loved the church and gave himself up for her, to make her holy, cleansing her by the washing with water through the word, and to present her to himself as a radiant church, without stain or wrinkle or any other blemish, but holy and blameless. Paul also said that husbands, who mistreat their wife, will have their prayers hindered. Children will learn respect and love as they observe their parents and follow their example. John 1:1 reminds us that Jesus was with God in the beginning and that Jesus is God. Our relationship with Jesus is important. It is good to make a decision to follow Christ and to daily get into the Word. As we prepare to pray, we can check our hearts for condemnation. Many times we are guilty of allowing the flesh to have control; Perhaps we were tired, stressed and we allowed anger, fear and bitterness to crop up. Recognize these mistakes, repent and forgive your self and others. So how do we change our culture? Watch our own attitude, don’t be easily offended, and grow up not always wanting our own way and reverting to childish selfishness. We can’t live in isolation, and we need to be with others to love and encourage them. Our teacher read a history of the revival in Wales with Evan Roberts. Seventeen people agreed to follow his guidelines and it changed their nation. 1. Put away unconfessed sin. 2. Put away any doubtful habits. 3. Promptly obey the Holy Spirit. 4. Publicly confess Christ Jesus as your Lord. All this begins with “ME” in complete surrender to our Savior Jesus. Our societal cultures many times are opposing to scriptures...somehow we are always going to have a choice between them and standing for the Truth. 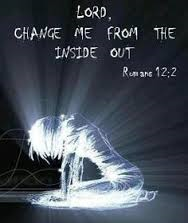 YES, Lord change us from the inside out as we strive to become more like you. Passover and Counting the Omer. Simple Illustrations can be Meaningful.